Dean is the founder and president of Bridgepoint Coaching & Strategy Group. 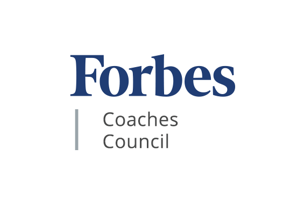 He is a member of Forbes Coaches Council, an invitation-only community for leading business and career coaches. He is also a member of The Center for Creative Leadership, a top-ranked, global provider of executive education. Dean recently became a Fellow member with the Institute of Coaching at McLean Hospital, a Harvard Medical School affiliate. Dean is projected to receive the coveted title of Master Certified Coach in 2018 as a member of the International Coach Federation. Since 1996, he has been coaching and facilitating programs for groups and individuals around the country on many organizational, interpersonal and personal topics. With his extensive coaching and training background, Dean has partnered with executives, managers, and front-line employees. Dean's experience in the fields of manufacturing, mining, aerospace, financial services, health care, oil and gas, rail services and non-profits demonstrates his ability to quickly adapt to the unique needs of each industry. Dean has been described as staggeringly perceptive. Lance is Vice President and Partner at Bridgepoint Coaching & Strategy Group. His work experience in leadership and coaching spans across non-profit, technology, marketing, manufacturing, energy and healthcare sectors. He has led and developed high performing teams for more than 18 years and is accustomed to working in dynamic and rapidly changing environments that require extreme agility and confident leadership. As a senior executive coach, Lance’s direct and creative approach with clients helps them envision future possibilities, create high-level strategies and holds them accountable for achieving their goals. He is an expert in creating strategic alliances with organization leaders to effectively align with and support key business initiatives that have bottom-line impact. Sarah puts her high standards and quiet focus to use as Finance Manager of Bridgepoint Coaching & Strategy Group. By combining her education in the Arts with 6 years as a business office manager and another 6 years in the coaching industry, Sarah supplies a unique balance of creativity and functional schemes. She possesses a particular ability for making big ideas become a living reality though her attention-to-detail. Sarah can be found waddling around the mountains of West Virginia with her husband and 4 children under the age of 6. She looks forward to sleeping sometime in the near future. A lover of details, strategy, team culture, and cats, Casey has worked in the financial industry for almost ten years. She is passionate about accuracy and supporting others in order to build great teams across the globe. Casey joins the team after working as an office manager and billing specialist for a multi-million dollar company for the last several years and is an expert at spinning multiple plates, decision-making on the go, and interfacing with clients. Her experience in both the non-profit and for-profit sectors give her a unique glimpse into the inner workings of organizations and how to best support the people within them. Casey can be found in Houston, sitting on patios or throwing weights around in the gym. Katherine is a high-performing executive assistant who has excelled at creating structure and processes for fast-paced, high-capacity senior leaders within the non-profit and for-profit sectors. She has assisted the President and CEO of one of the nation's leading nonprofit search firms, worked to organize a lead team of executives while managing the master calendar for an 8,000-member organization, and spent many years in the live production industry leading production teams in the execution of hundreds of large-scale events and conferences. Her low drama personality lends itself to creating a calm, stable and productive environment - although she rarely misses the chance to use her witty and sarcastic sense of humor. With over 25 years of leadership and team-building experience working for corporations such as MCI, Hewlett-Packard, and Bechtel Engineering, as well as non-profits such as Easton Foundations, and Compassion International, Ken has guided executive leadership in strategy development and execution. Understanding the pressures and expectations of a C-Level position first hand, Ken’s ability to relate to senior executives and their teams provides a strong connection point. He helps leaders focus on points of discovery that strengthen their understanding of their leadership impact on their teams and maximizing their performance. Ken holds a master’s degree and certifications in change management and professional coaching from U.S. and international bodies. He will achieve the pinnacle of the coaching profession’s designation as a Master Certified Coach in 2018. His experience in over forty countries on five continents has given him additional insight into the challenges of guiding multinational efforts. As a Certified Master Coach, Adam helps leaders unleash their potential and soar. He is an intercultural specialist and gifted communicator who has led transformational workshops for thousands across five continents. He has over 25 years of experience in public speaking and a unique ability to distill complex concepts into memorable principles and actions. A Qualified Administrator of the Intercultural Development Inventory (IDI), a powerful tool for assessing and developing intercultural competence, Adam draws upon the latest science in the field and 20 years of senior executive experience leading and training diverse teams. Adam has an MBA from Emory University with an international exchange at the University of Manchester, a BA and MA in Intercultural Studies from Biola University, with field research in leadership and language in Mali, West Africa and a Certificat de Langue Français from Université Paris Sorbonne (Paris IV). For more than 20 years, Kevin has been helping C-suite executives and senior leadership teams to overcome one of the toughest challenges – translating strategy into actions and results. His expertise and experience across multiple industries and functions has made him a highly sought after executive coach. Most recently, Kevin served as the Head of the Organizational Development and People Analytics for the Walt Disney Parks & Resorts – a $18 billion business that operates with 130,000+ cast members from 20 world-class theme parks and 44 uniquely themed resorts. Before Kevin joined Disney, he served as the Head of Global Transformation & Organizational Effectiveness for Walmart globally. Kevin has earned a BA in Organizational Psychology & Business Administration from the University of Central Florida and is a three-year winner of their prestigious Minority Academic Excellence Leadership Award. Life does not have to be lonely at the top. Dale has coached and consulted C and Executive level Fortune 500 leaders, high performing entrepreneurs, military and ministry leaders for more than three decades. His message is not developed from theory. Dale has vast professional experiences – ranging from serving as an NCO in one of America’s elite military forces, as a leader within Harley-Davidson Motor Company during their renowned turn-around, as the owner/operator of multiple Harley-Davidson dealerships, as a successful real-estate developer/investor, and as the President/CEO of an international peacemaking ministry. These experiences have helped Dale develop great insight into the mountaintop views and the pitfalls that “life at the top” offers. Dale also holds the highest credentials in the secular and faith based peacemaking and mediation communities. He credits much of his successes to the many who have coached him. Dale’s experience, combined with wisdom, knowledge, and humility, brings unique skills to his coaching and facilitates his passion to see others succeed quickly, efficiently, and sustainably. Dale’s practical approach to leadership, complimented by his broad experience, makes him an extraordinary all-in-one package. Bryan has more than 20 years of experience coaching, training and mentoring both leaders and their teams. Whether coaching fortune 500 executives or the teams they lead, His passion is Intentional Leadership that produces strong leaders and bottom-line results. Bryan brings a courageous and imaginative approach to coaching and leadership. He strives to ensure leaders are moving forward purposefully and efficiently towards their desired future and not repeating the behaviors that can cause them to remain stuck in frantic non-productivity. As a seasoned leader and executive coach, Lynne brings a depth of experience and a history of client results to Bridgepoint. For more than 30 years Lynne has contributed to the growth of successful organizations. She is recognized for her insight, inspirational leadership and the ability to elevate both individuals and companies. Lynne has worked in and with organizations of all types and sizes including Fortune 500, global non-profits, regional businesses and start-ups. Her industry experience includes medical and behavioral healthcare, publishing, media, consumer products/manufacturing, marketing and non-profit. Lynne is a certified professional coach as well as a brand, marketing and strategy consultant. Mike is a dynamic, motivational coach offering the proven advantages that come from an entrepreneur’s perspective. His executive judgment has been gained in 30+ years of senior level experience in the hospitality, airline, non-profit, ministry and government spaces. He has successfully created and lead complex organizations, building highly productive teams with a servant leadership culture. He is using that experience now to coach c-suite executives and their leaders on how to equip and empower their teams to maximize employee morale and productivity. Mike helps executives focus on developing their strengths in the areas of commitment, communication, creativity, honesty, teamwork and vision. 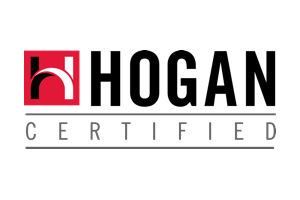 Sondra Calhoun partners with managers, directors and executives to create cultures where individuals are empowered and motivated through autonomy leading to higher levels of engagement and productivity. She has successfully worked with many Fortune 500 companies, non-profits and ministry organizations in challenging them to have fresh perspectives and look at new paradigms that are proven and effective for improving the “bottom line”. She brings her experience as both manager and consultant, as well as her in-depth training, to her clients to provide insights and to challenge the status quo. Ron is an executive coach with more than 30 years experience in consulting, mentoring, leadership development, and coaching. He has worked with all levels of management from the first line supervisor to the CEO. Having served as the Senior Vice President and COO of a major financial institution, VP and General Manager for a major electrical materials company, and Director of Manufacturing and Plant Manager in the chemical/petro industry, Ron knows what it takes to lead, develop and challenge high capacity leaders. His coaching expertise focuses on strategic planning, executive management and operational efficiency.